A fire alarm detects a fire at an early stage so as to afford the time needed to evacuate the building quickly and safely while also providing the additional time needed for the Fire Brigade Service to arrive. A Fire Alarm is a vital “life safety system”, which can be used to also protect your property. At Lara we install our systems to the most current standard (IS:3218:203:NSAI) and we also provide a complete professional maintenance service as is required by law. 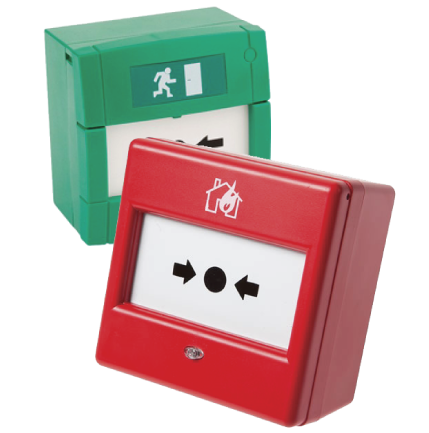 Often Fire Alarms depend on your buildings “fire certificate” and the system will then be required to be installed on a statutory basis. However for older buildings we can provide you with a complete advisory, design, installation and commission service with the necessary certifications upon completion. Lara have been installing commercial systems since 1989, with our largest networked system to date having 3,000 detectors. The current statutory requirements for a fire alarm is set out by the National Standards Authority of Ireland (NSAI), whom define the regulations for the installation of your fire alarm. This statutory regulation is embedded in the 1981 and 2003/2010 “Fire Services Act” which makes this document a legal document and is enforced by a local fire officer. From its Inception in 1989, the standards (Code of Practice) have been previously revised in 2008 and currently is now revised as 2013. The reference to the current standard is IS:3218:2013:NSAI and this standard is available to purchase directly with the NSAI. It is important that when you are designing a fire alarm system that consideration be given to the benefits of an addressable system over that of a conventional system. For example a Conventional system will indicate the location of a fire, by only indicating on the panel the “Zone” that has activated. Whereas for example, an Addressable system will indicate the exact location and exact device that has activated. This will allow the Fire Brigade to be able to locate the fire at this location immediately upon arrival as opposed to the approximate location of the fire indicated on a conventional system. Of course if the system is a small development or building, the need for such an addressable system is not warranted as a conventional system will be satisfactory in this case. If unsure as to the most appropriate system we at Lara can advise you of which system is suitable for you needs. Another benefit of an Addressable system over that of a Conventional system is the ability to trace any faults that may arise, specifically faults that arise from tampering. For example: if a detector in an Apartment is tampered with this will be indicated on the fire panel as to the exact location the tampering took place, so just that Apartment needs to be accessed. Whereas with a conventional system, everywhere on that zone needs to be checked and accessed to trace that fault. Addressable systems also tend to require less cabling to be installed meaning installations can be completed in less time and in a tidy manner. Disabled refuge systems are essentially a professional intercom system that allows a disabled person to raise awareness to the Fire Brigade service, typically at the main Entrance Lobby of the Building, that they are located on a particular stairwell landing awaiting rescue. These systems are generally installed on each landing that has a dedicated refuge location, for a disabled person to hold up until they are rescued. This is important as the Fire Alarm will ordinarily disable the lifts preventing a wheelchair user from escape. These systems are becoming more common place and Lara has been installing such systems since 2008 and provides a full maintenance arrangement to existing systems. Disabled toilet alarms are a very simple means of raising the attention of either Reception personnel or a Security office, should a disabled person using the facilities find themselves in difficulty and require assistance. These systems are intended to raise a local alarm by way of a buzzer and a flashing light over the door of the disabled toilet, while at the same time a local buzzer will activate in Reception or Security. The system is a standalone system and is simply activated by either a pull chord or a press button in the toilet. The system can be simply “reset” i.e. silenced by pressing a button either in Reception or Security or at the toilet itself. If there are more than one disabled toilet, Lara can advise you of a system that incorporates all the alarms in one panel. Manual call points are a means of raising a fire alarm manually. They are often referred to by similar terms such as fire break glasses or fire call points. The fire alarm standards require that in every circumstance when a manual call point is activated, it must create a full fire alarm event. Modern manual call points are now designed to be resettable, whereby older buttons required the glass to be replaced when activated. Covers are available for the units and can be placed over the manual call point to prevent accidental activation. This then requires the lifting of the cover first followed by the pressing of the button. In practice this dramatically reduces false alarms. Two manual call points exist, as illustrated. The red call point this is for fire alarms, whereby the green call point is in fact for the manual releasing of locked doors (access controlled for example) in an emergency. In most cases a key is required to reset any call point after its activation. Detectors form the most important part about any Fire Alarm system. Detectors are used to automatically raise an alarm and to give the necessary time to evacuate safely in the event of an emergency. It is vital that the correct choice of detector is made for a given location whilst also considering the nature of the fire expected. Fires range from “fast and flaming” to “slow and smouldering”. The detectors required for detection of these type of fires differ greatly. It is essential in the design of the system that the correct detector be installed. Types of detectors typically range between smoke or heat detectors (these being the most common). Each device has characteristics that must be considered. In certain instances combined detection will be required. 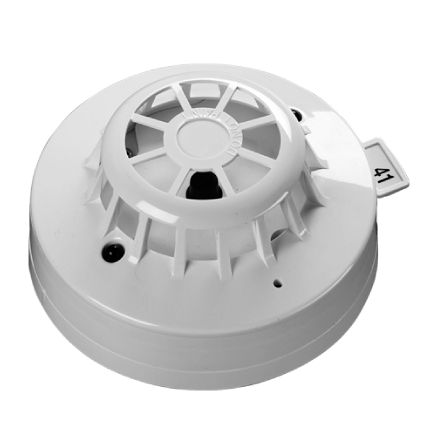 Furthermore, addressable smoke detectors are only compatible with addressable fire systems and likewise conventional smoke detectors operate only with conventional systems. Fire alarm sounders are the only means with which to raise the alarm in the event of fire. 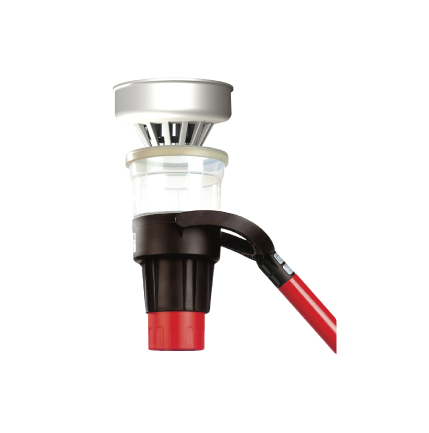 These sounders are manufactured in many shapes/type (wall ceiling, base mounted etc), and can have various output sound levels. 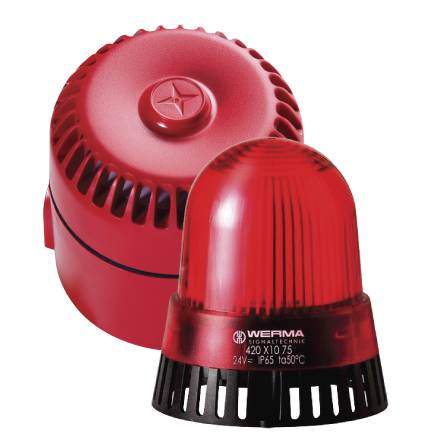 There are fire alarm sounders that also combine a strobe light to give a visual indication of a fire for persons whom maybe hard of hearing. It is recommended (when designing) apart from achieving the sound pressure level (measured in dB), that the sounders should be installed so that there are numerous sounders using a lower volume than that of fewer sounders with a louder volume, which may cause disorientation for an elderly person trying to evacuate. At Lara, we generally use the manufacturers “C-tec” and “Morley” for our installations, both of whom offer various conventional and addressable options. Lara has found both these Manufacturers to provide the best quality of product with a large after sales service, and both have expert technical support network in place. These particular manufacturers have a significant presence in the Irish fire alarm market and come well recommended. Fire alarm systems are required by law (Statutory requirement) to have a preventive maintenance contract in place. The current Irish fire alarm standard (IS:3218:2013:NSAI) requires a building with greater than 20 devices smoke detectors with persons residing to be tested “quarterly” and the necessary servicing documentation completed. Lara has been maintaining Fire Alarm systems since 1986 and has a full professional dedicated servicing and Maintenance team. Lara currently provides professional servicing and Maintenance to many of Dublin’s largest Property Maintenance Companies. 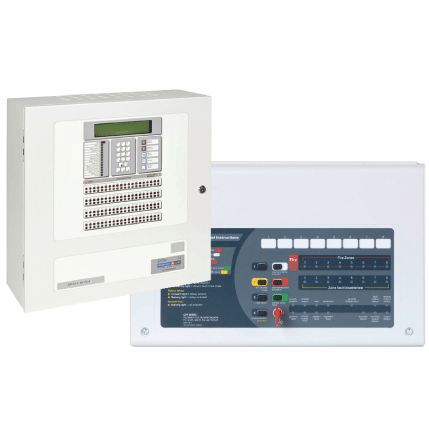 We are a highly experienced professional company in respect of the maintaining of both Conventional and Addressable fire alarm systems. Lara has a dedicated Service Team whose job it is solely to look after all fire alarm systems under our care. Lara can look after all types of installed fire alarms, even if not originally installed by ourselves. Should you wish to consider Lara to offer a preventative maintenance contract, we would be happy to call to you to survey or audit all aspects of your fire alarm system and to provide you with a professional competitive quotation or professional assessment as to the condition of the current system. Lara has been carrying out fire alarm installations, both simple and complex, since 1989 and we pride ourselves on our expertly designed and installed Fire Alarms. All Fire Alarms installed are fully compliant to the national standards authority of Ireland NSAI’s code of practice, currently IS:3218:2013:NSAI. If you are considering a Fire Alarm installation by Lara, we have many reference sites available for viewing in order to appreciate the quality of the finished installations. Lara has experience in design for all applications such as schools, office buildings, large commercial units and residential apartment blocks, all completed to the highest standard. I note that all Lara alarms Fire Engineers are also fully qualified electricians by trade. Upon completion, a full backup of the system is kept on soft copy at our Offices in the event of unforeseen damage to a fire control panel.